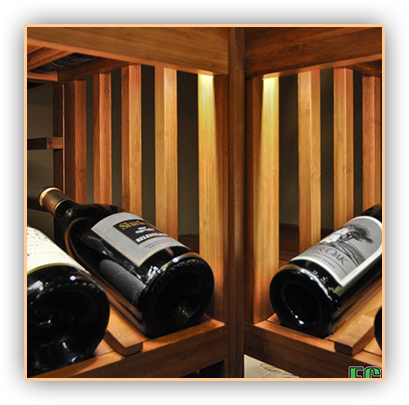 Installing Wine Closets and Wine Cabinets – How Easy Is It? . The question I’m asked quite often is how easy it is really to install the wine closets and wine cabinets. What I wanted to do today is walk you through a recent installation that we did in the Dallas area. What you’re looking at are the wine closets Dallas Texas as it was before. This is where the homeowner wanted to install his new wine cabinets. We removed the door, the jamb, the frame, and the trim inside and out. We installed a dedicated electrical outlet. The wine cabinets Dallas Texas arrived and were uncrated by the moving company. Here is the side view of the wine cabinets before installation. The trim pieces arrived with the cabinet. We installed the top trim piece with screws at the top of the cabinet. Here is another view of it from the front after installation. The side flange or trim piece also arrives with the wine cabinet, and is installed on the left and right side of the cabinet again with screws. You can see here on one side of the cabinet after installation. The wine cabinet is plugged in and slid into place. The lighting is tested. The case moldings are prepared. Stained and lacquered, in this case. The moldings are provided by the homeowner. The moldings are cut to fit and then attached around the cabinet. This is the completed wine closet cabinet, and as you can see quite a difference between the completed cabinet and what we had before. 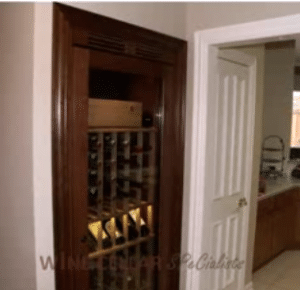 The wine closet cabinet is very easy to install. 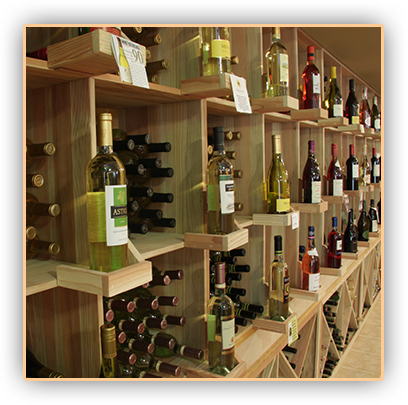 For one of your own, visit Wine Cellar and Wine Cabinets Dallas Texas Specialists and give us a call. 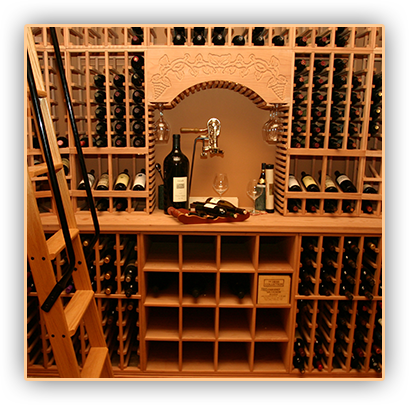 You can also check out our wine cellars gallery here http://www.winecellarspec.com/wine-cellars/. 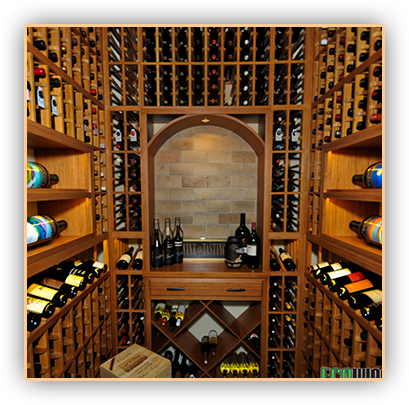 This entry was posted in wine cabinets, Wine Cabinets Dallas Texas, Wine Closets, Wine Closets Dallas Texas and tagged wine cabinet, wine cabinets, wine cabinets Dallas Texas, wine closet, wine closets, wine closets Dallas Texas by CustomWineCellarsChicago. Bookmark the permalink.